Coachella bound? Rock one of the world's trendiest music festivals like a pro with these five tips. Festivals are not solo activities and who you bring can make all the difference. Fill your squad with people you love who have similar festival agendas. If you will be staking out front row spots five hours before the big show, go with your music loving friend who is camp out ready - snacks and sunscreen in all. 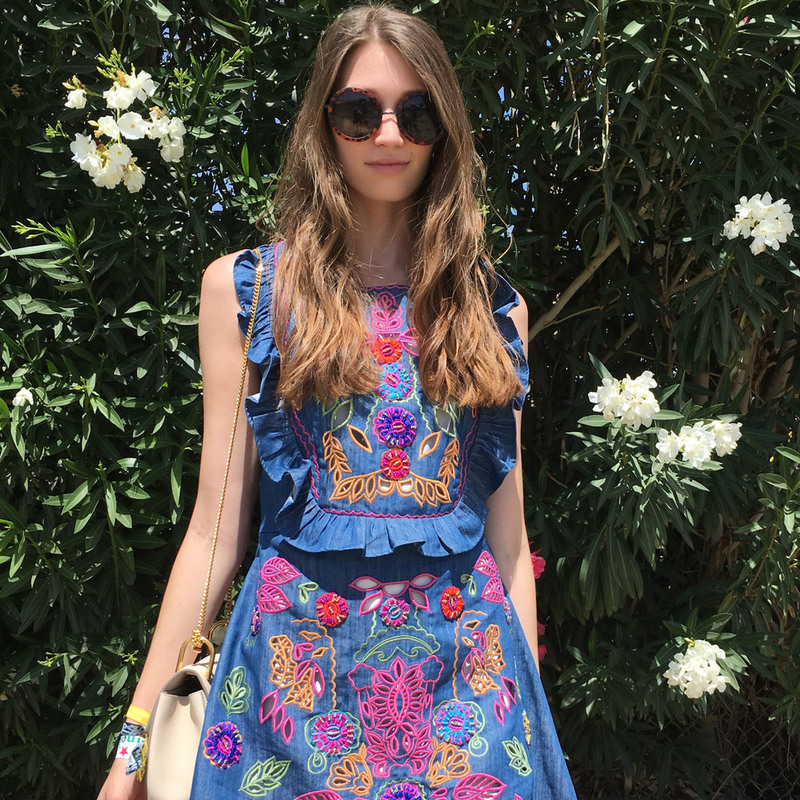 Alternatively, if you are an Instagram superstar looking to post the perfect picture, go with your blogger bestie who will be thrilled to camp out in the VIP or Artist Area with you. I was lucky enough to go with my concert photographer dad and festival veteran sister - I know, both are much cooler than I am. Don't let the desert wind give you a bad hair day. 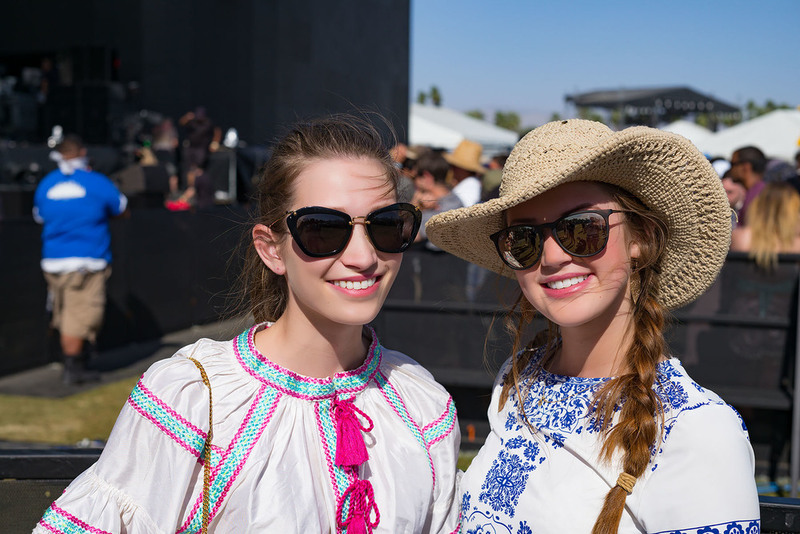 Keep locks in place and carefree with boxer braids, double buns, or any other festival ready hairstyles. Better yet, get yourself access to the VIP area where a hair and makeup studio is ready to make you into a festival princess. Better again, if you are Safari Tent Camping, ditch the lines and sign up for your own appointment time at the The Beauty Coach. If you know me at all, my braids did not do themselves. All the sand at Coachella made me feel like I never left the UAE. Avoid days of coughing and sneezing with a cool bandana for when the wind picks up. Pro tip - when the weather is calm, fold your bandana into a chic choker style accessory. Even if you are lucky enough to score golf cart rides around the grounds like me, you will be in for a good amount of walking and standing. Comfort is key when it comes to footwear. Time to bust out those bedazzled Marni sandals, embrace the boho style with low heel boots and rock the athleisure trend with a pair of sneakers. Heels need not apply. After hours in the sun, long lines at food vendors and crowded concert areas, you may start to feel a bit snappy. Keep calm and stay positive. The sun will set, the lines will end eventually and the annoying concert goers who budge their way to the front are in for some bad concert karma. What are your top festival tips?